Rosedale Filters manufactures bag filters and strainer housings. Housings come in a various sizes and styles, and are used as bag filters, cartridge filters, or basket strainers. Duplex filters permit continuous operation, reducing overall operating costs. 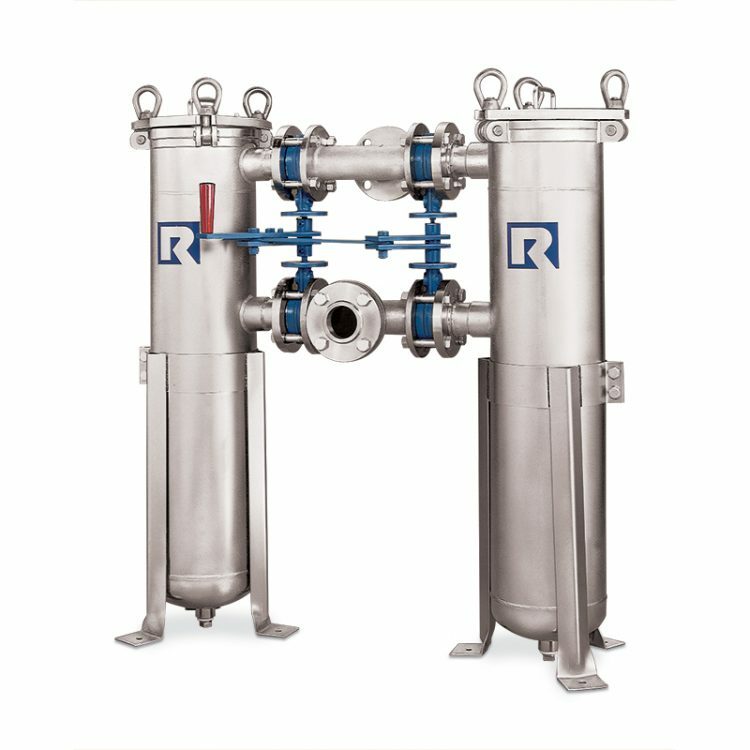 Flow can be switched back and forth between two filter vessels, allowing one side to be serviced while the other is in use. When one filter gets saturated the incoming flow is automatically diverted to the clean filter bags on the other side.